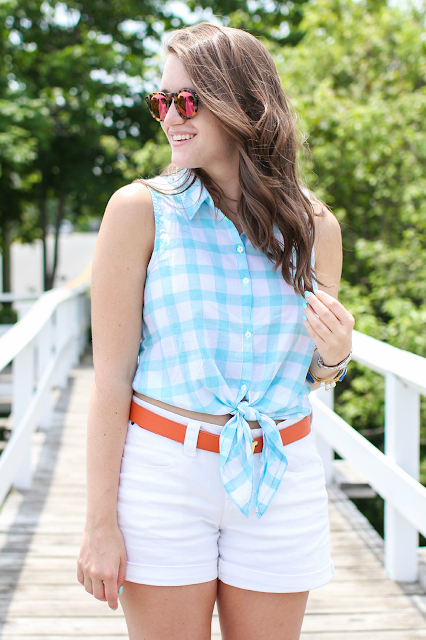 Nothing says summer quite like a front tie top! I wore this look traveling to Nantucket on Friday. 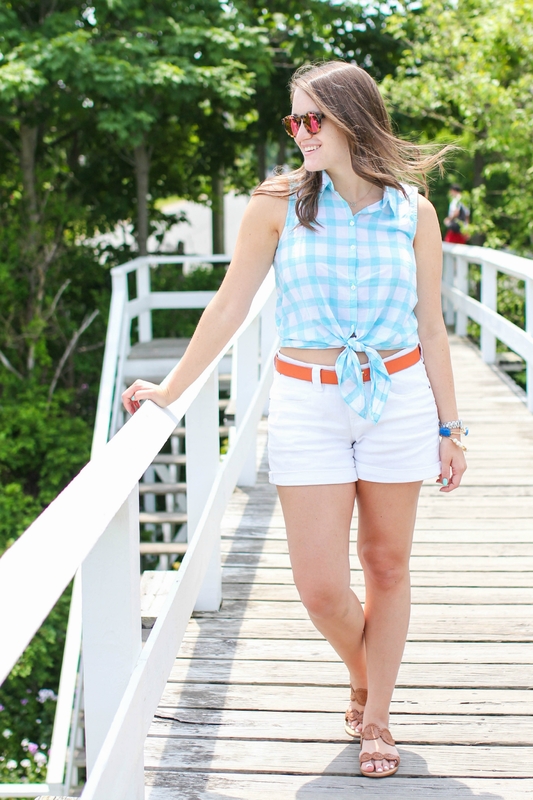 It was the perfect way to dress comfortably but still be "beach ready." I have a thing for front tie tops recently (like this post here) and I don't want to stop. Also, the color on this top ... yes and yes. 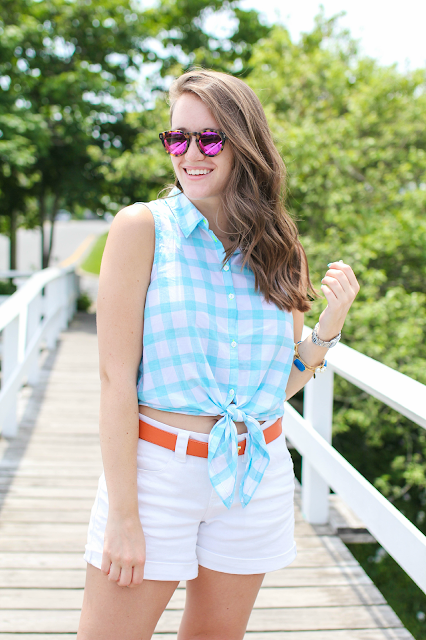 I paired it with my white denim shorts because, you know, #summer and some colorful accessories like my belt and sunglasses. These sunnies are actually new to my collection. What do we think?! I bought them because I didn't have any pink lenses so far and I've been wanting a pair of Illesteva sunglasses for a while. They come in a million shades which I love like the 48MM mirrored and regular and the 50MM mirrored and regular. Such a cute outfit! I love shirts tied like that! Love that top! 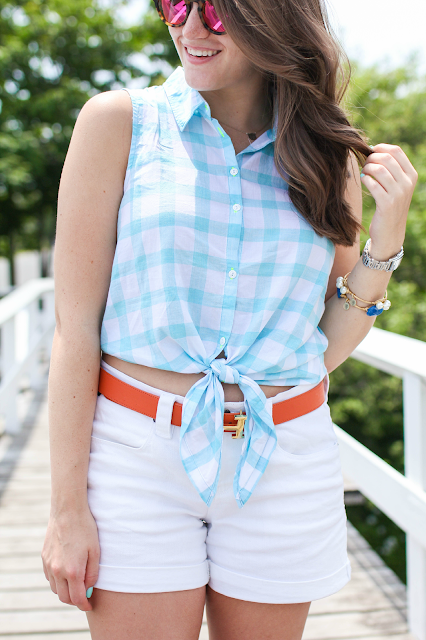 Absolutely love that color belt on the white shorts too! 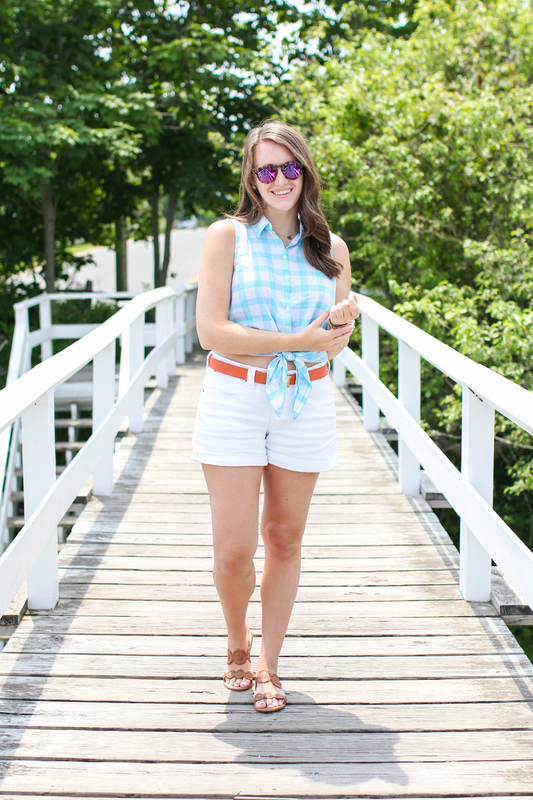 Love this casual, summer time look. Adorable top, love the sandals!